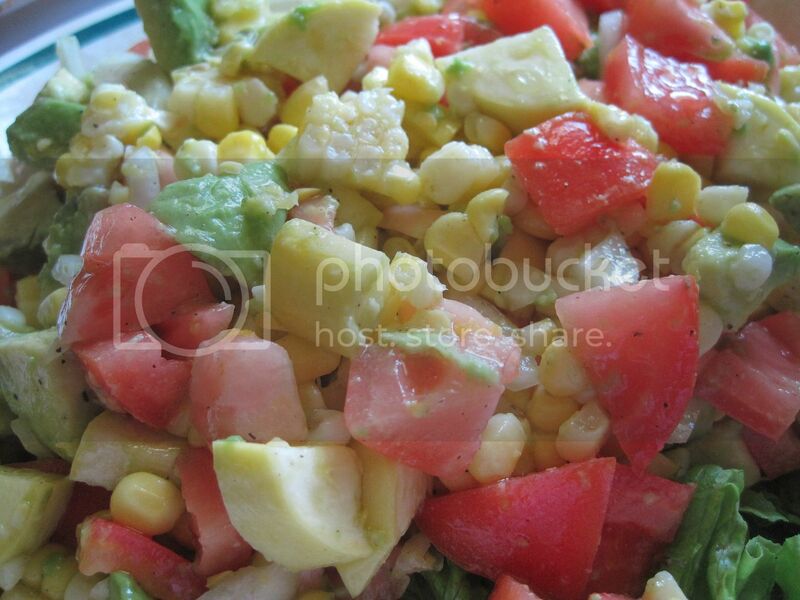 We had a new salad favorite at our house this summer when we first tried the Corn Avocado and Tomato Salad. That’s why when I got a chance to try out NAKANO Seasoned Rice Vinegars, I knew that this salad would be one of the first I would try it on. Whisk everything together and drizzle over the salad. You can easily double or triple this recipe depending on how much vegetables you decide you use. 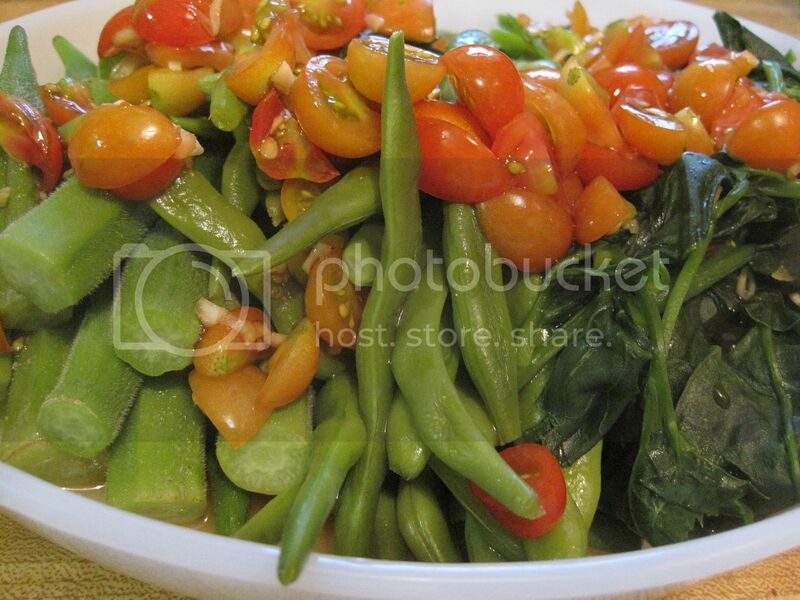 Here is another SIMPLE GARDEN SALAD. These are just vegetables (okra, green beans and malabar spinach) that we picked from the garden and boiled only until they are crisp tender. We dressed them again simply with Nakano Seasoned Vinegar. Mix together: Nakano Seasoned Vinegar, Kosher Salt, Black Pepper and Soy Sauce. Notice that I didn’t put any proportions. That because I simply eye balled everything and just tasted as I mixed, adjusting proportions as I went. Keep in mind that you’re adding Kosher Salt and Soy Sauce which are both salty so be conservative at first and just add more according to your taste. While I think that Nakano Seasoned Vinegars are best used in salads because of their mild and delicate flavors, there is no hard and fast rules that you can’t use them on meats as marinade either. That’s what I did to these steaks which were later grilled and they were some of the best ones we’ve had all summer! Sorry I forgot to take ‘cooked’ photos though as they were smelling so good and delicious that we forgot to take photos before digging in! These, again, are so simple that no recipe is really needed. Simply salt and pepper your steaks on both sides, add some fresh thyme, and drizzle with Nakano Seasoned Vinegar and olive oil. 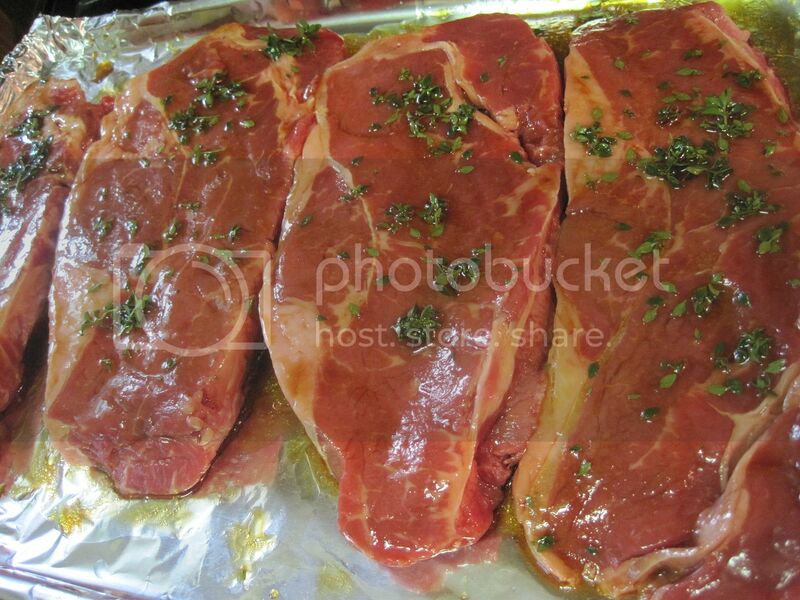 Let them sit to marinade for about thirty minutes then grill to your desired doneness. NAKANO® Seasoned Rice Vinegars are naturally brewed, fat and glutten free and have a sweet, light flavor that dresses any dish. They are all natural, low calorie, fat-free, gluten free, contain no preservatives and they contain less than 50% sodium than other seasoned vinegars. The seasoned vinegars come in the following flavors: Seasoned (which is what I used in all of the recipes above), Roasted Garlic, Basil & Oregano, Red Pepper, Pesto, Balsamic Blend and Italian Herb. The vinegars are all perfect to use on salads, pastas, vegetables and meats. The possibilities are endless. It all depends on how creative you want to get. If you would like more recipes using these vinegars, check out the recipe finder on the Nakano website. Now if you would like to try out this vinegar, sign up for this prize package from Foodmix and Nakano. Sign up for the NAKANO SPLASH Recipe Club to receive a free monthly e-newsletter featuring great recipes and tips. http://bit.ly/9KS2BD – You must do this in order to qualify. If you don’t do this first requirement, all your other entries are void. NAKANO is on Facebook! Become a fan at http://bit.ly/cjLu9r and let them know you entered this giveaway! 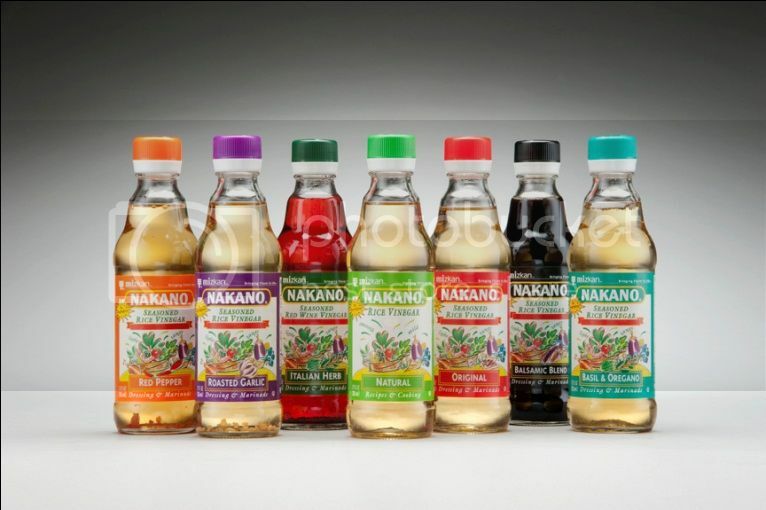 TWEET THIS – Tweet the following: “WIN $25 gift card and Nakano Vinegar! Cooked from the Heart by @JMom http://bit.ly/cDPgzA” You can tweet on multiple days, just remember to come back and leave the link to your tweet. SHARE THIS – share this post as many times as you want (leave separate comment each time) on any of the social networking sites listed on the ‘Share This’ button at the end of this post. BLOG THIS – Blog this giveaway (a link as part of a list is fine) and come back and leave me the link to your post. END DATE – this giveaway will end on SEPTEMBER 10, 2010. The prize package will be sent to the winner by the sponsor of this giveaway, Foodmix for Nakano. 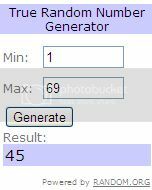 The winner is comment #45, Donna K! Congratulations, Donna! Thank you to everyone who entered the giveaway. Stay tuned for the next one! I wrote this review and giveaway as part of the NAKANO® Summer Splash Campaign. For my participation, I received a $50 Visa giftcard, one bottle of Nakano Seasoned Vinegar and a Coupons booklet with $1 off coupon and recipe cards.